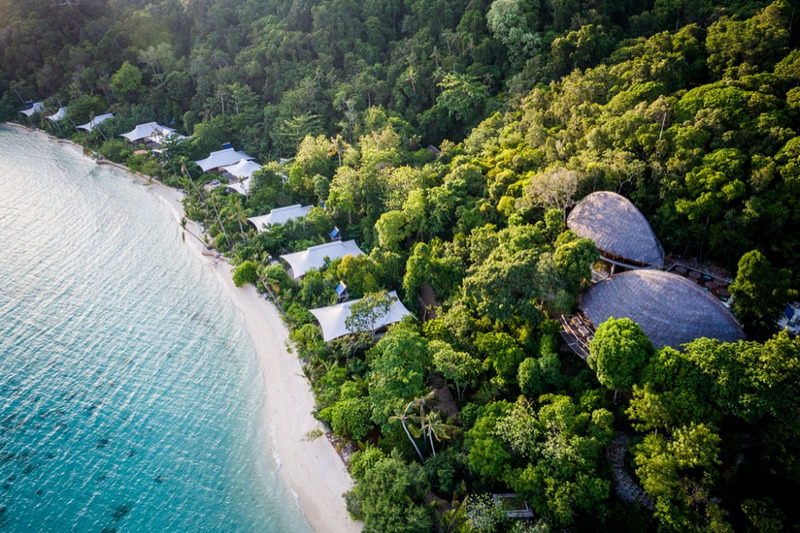 HOW TO GET TO BAWAH ISLAND PRIVATE ISLAND - For me, escape to Bawah Island Private Island is the ultimate luxury experience meets nature at its finest. You can have your time peacefully when you live in this gorgeous pristine mini archipelago, away from everything you hates from city life. Geographically, Bawah Island is indeed isolated even from the nearest town of Tarempa in Anambas Regency which was before seaplane, it will take 7 hours speedboat ride, so you can imagine how to get here if there's no seaplane operated from Hang Nadim International Aiport in Batam. 11:00 AM (Indonesia Time): You will be in your private air-conditioned room, with welcome drinks and Bawah Staff explain everything, but Bawah Island has their own time zone, so it will practically 12:30 PM Bawah Time and the lunch for you is on its way at The Treetops Restaurants.